I have never met or read the success story of any great personality who (at sometime in life) wasn't discouraged. A book, idea, conversation, meeting, audio or video material was responsible in many ways for getting any of these men and women of repute through the stormy seasons of their lives. I have come to the conclusion that we need a daily dose of inspiration to help us get to where we want to be. Inspiration is as essential to a successful life as fuel to an automobile. 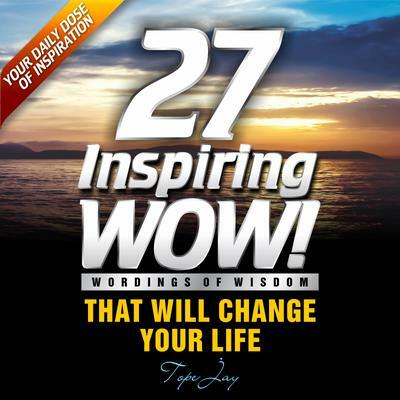 Once you begin with this audiobook, you won't want to stop until you're fired up and ready to hit the bull's eye; you will be charged up to meet your personal goals because in this volume are inspiring words deliberately and carefully selected to expand your mental territory and set you on a course for winning in life always!